In which Martyn goes solo, to review what's lefyof Doctor Who-series 11. We'd greatly appreciate it, if you could take 5 seconds to fill out this survey. Bad Wilf is back! In this exciting instalment, Martyn and Gerrod discuss the Doctor Who series 11 episodes, The woman who fell to Earth, Ghost monument and, Rosa. Also check out the Bad Wilf Vlog. Recorded today at MCM London, here's the interview I attended with Paul McGann. He discusses Jodie Whittaker and whether or not sci-fi should ever be political. He praises Big Finish, Bradley Walsh and Sheridan Smith and also addresses the Withnail & I drinking game. In which Martyn and Gerrod are back in the saddle. The duo discuss the recent passing of Barry Chuckle and Jon Schnepp. Batman's Alfred getting a prequel TV series, Peter Davison's first Doctor Who series released on Blu Ray. As well as some of the Time team for Doctor Who magazine having the audacity to be women. They also ask the question of the moment, is The Talons of Weng-Chiang racist? Doctor Who season 19 can be ordered here. In which Martyn and Gerrod discuss The Running Man. They also discuss the Torchwood series 6 announcement, the new Doctor Who composer and, the recent leaked Doctor Who footage. In which Martyn and Gerrod bring you an interview with Sylvester McCoy and, Jim "Winnie The Pooh" Cummings. In which Martyn chats to actor/writer Daniel Lawrence Taylor. The pair talk about writing to deadlines, the pressure of social media and Daniel's ITV2 show, Time Wasters. In which Martyn chats to Gareth David-Lloyd about his latest project, Black River meadow. They also talk about the Ianto Shrine. You can support Gareth here. You can follow Gareth on Twitter. The Torchwood series 1-4 Blu Ray can be ordered here. Broken can be ordered here. Recorded, at MCM London 2017, here's the full press panel with David Bradley and Claudia Grant. Both talk about their involvement with An adventure in space and time and Big Finish. David let's slip that they've signed up to another series of Big Finish, he also talks about his experiences on the upcoming Christmas special, twice upon a time. In which Martyn and Gerrod discuss an important issue, as well as the 2002 werewolf movie, Dog Soldiers. Martyn also tells the story, about the time he caused a major secuirty alert at the Dutch Embassy. Doctor Who series 10 can be ordered here. Dog Soldiers can be ordered here. Episode inspired by Episode 72 of What say you? In which Martyn and Gerrod discuss the highs and lows of London Film and Comic Con. For more details about Showmasters events, click here. Martyn and Gerrod discuss the recent Doctor Who casting news. In which Martyn and Pete attempt and mostly fail, to discuss Empress of Mars. They both liked it. Recorded live at Walker Stalker:London, Martyn was lucky enough to get 3mins with Michael Traynor, who played Nicholas in The Walking Dead. It's very short, but interesting. Michael speaks of his desire to see a Walking dead spin-off set in London and what it's like to write dialouge for a video game. Episode 180:Catherine Tate MCM panel. Here is the full Catherine Tate Panel, from the MCM expo in London, May 2017. It's extrememly funny and Catherine is exactly how you'd like her to be. We've uploaded the video of this to youtbe, which can be viewed here. The Tenth Doctor Adventures can be purchased on Amazon. Recorded at London's MCM comic con, here is a round table interview with Rogue One's Tarkin-Guy Henry. Rogue One can be purchased on Amazon. Recorded at London's MCM comic con, here is a round table interview with firefly's Sean Meher. Firelfy can be purchased on Amazon. Here is a slightly lonegr version of the Andrew Lee Potts intevriew, that we put on Youtube. If you would prefer to watch the interview, please click here. Follow Andrew Lee Potts on Twitter. Check out wireless. Primeval can be purchased on Amazon. Recorded at MCM, here's the interview with the original cast of Power Rangers; Austin St John, Karan Ashley, David Yost & Walter Jones. Here's an interview with Lou Ferrigno, recorded at MCM expo. Here is the full MCM press interview, with the cast of the Doctor Who spin-off, Class. he podcast can be accessed via different places, including Audioboom, Player fm and Itunes. Class can be purchased on Amazon. Martyn and Gerrod are back! They're faster and furiouser, as they discuss the films Dying laughing, Mindhorn and Fate of the furious, or as it was creatively called in the UK, fast and furious 8. We will continue our Doctor Who coverage, at the end of series 10. The Fast and Furious films can be purchased on Amazon. In which Martyn and Gerrod discuss Dying laughing, Mindhorn and The fate of the furious, or as it was creatively called in the UK, fast and furious 8. In a desperate attempt to push us up the Itunes chart, Martyn is re-uploading our Youtube videos to this feed. Here is footage from the Alien: Covenant premiere, includes interviews with Michael Fassbender, Sir Ridley Scott and Danny McBride. Footage courtesy of 20th century Fox, but edited by Bad Wilf. The Alien films can be purchased on Amazon. Martyn and Gerrod sit down to discuss episode 2 of series 10, of Doctor Who. On the latest exciting installment, Martyn and Gerrod discuss the return of Doctor Who and look at episode one of series 10, The Pilot. Is it a success, or has Steven Moffed it up again? As no other podcasters are talking about it, Martyn and Gerrod thought they would shine some light on Hugh Jackman's latest film, Logan. Joe Lidster introduces Pete to this spooky, supernatural world he's written, directed and script edited for Big Finish Productions. Hear more at the Dark Shadows SoundCloud Page. Also visit Dark Shadows at Big Finish. James Goss shares BBC war stories, Big Finish beginnings and his commitment to letting Douglas Adams shine through his latest book, adapting Adams' Doctor Who debut The Pirate Planet. Order The Prate Planet now through Amazon UK or other shops online. James Goss shares his journey through rare Doctor Who documents and his commitment to letting Douglas Adams shine through his latest book, adapting Adams' Doctor Who story The Pirate Planet. Order The Pirate Planet now through Amazon UK or other shops online. In which Martyn, Gerrod and Pete visit a schoolyard from classic Doctor Who and chat about the BBC's Doctor Who spin-off, Class. Check out the official BBC Three Class website. In which Pete chats with Trev Neal, Simon Hickson and Sophie Aldred about their sci-fi comedy audio series Strangeness in Space. Check out the Strangeness in Space website or visit Kickstarter to help them fund the second part of the season 1 finale. In which Martyn and Gerrod take a look at the unofficial Doctor Who spin-off, Mindgame Saga. Check out Gerrod's trip to Youtube HQ. Check out the official Bad Wilf Vlog. Check out Gerrod's Vlog. Check out Pete's channel. In which Martyn and Gerrod bring you coverage from inside the MCM expo. The episode contains interviews with Howard Charles, Enver Gjokai, Violett Beane and Michael Rowe. In which Martyn and Gerrod attempt to discuss the 1997 movie, Men in Black. However, they end up talking about their problems with Steven Moffat's era of Doctor Who. Gerrod farts and Martyn can't cook an egg. In which we bring you the Freemaker adventures panel, from Star Wars:Celebration Europe. At Star Wars celebration, Martyn was lucky enough to sit down with Dave Filoni, Sam Witer and, Tiyar Sircar. Thrawn is discussed, Tom Baker is radiant. Gerrod and Martyn sit down to discuss the 1999 horror movie, The Blair Witch Project. In which Martyn, Gerrod and 20 other journalists to interview poppy Drayton from MTV's The Shannara Chronicles. Thanks to the guys at MCM for allowing us access. 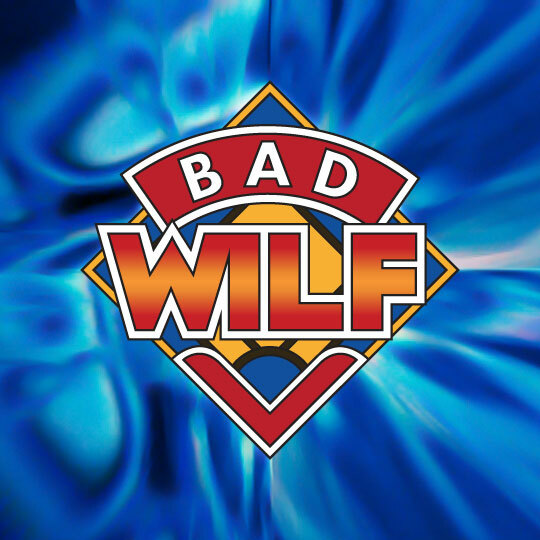 Check out the official Bad Wilf Vlog.